It's very important to us that you are satisfied with our products and our service. 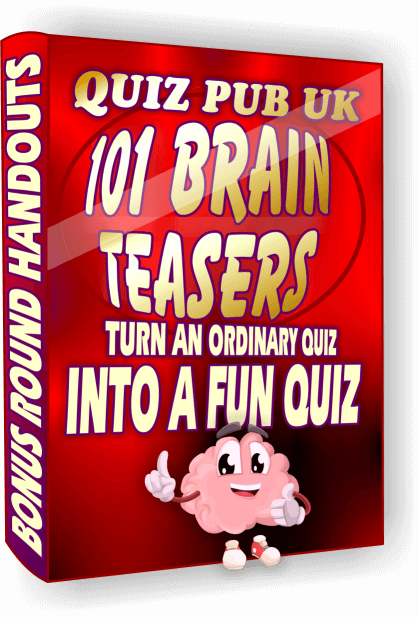 If this is your first quiz from us then we strongly urge you to look at Quiz Pack 1 first, it's a fantastic quiz and only costs 1 penny! New Game Show Round - Round 4 is now based on the classic TV game show Blankety Blank, if you've never seen it or you need reminding I'll put a short video of the show at the bottom of this page. 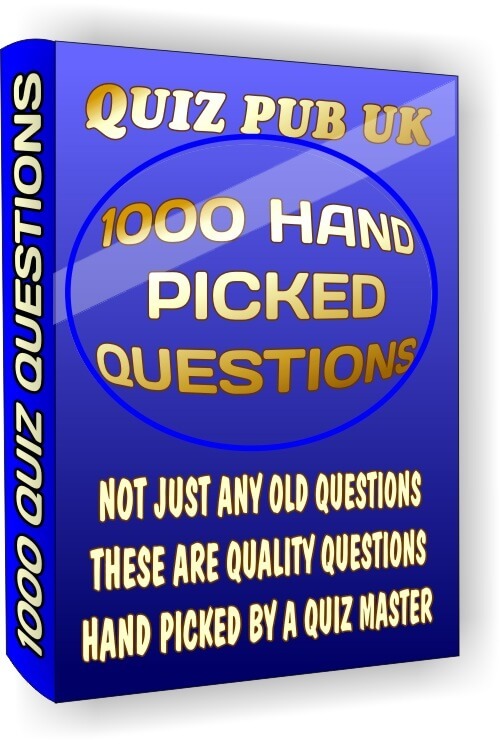 I've only made 20 of these downloadable quizzes and they are all on this page, if I ever make any more of these then I'll add them to this page. For a more detailed explanation of this game then scroll past the quiz packs below. If you are viewing this page on a narrow screen then the packs below might go off the edge, changing your devices orientation to landscape will help or you can scroll the packs left using your finger, or on a PC using the scroll bar further down. And don't forget that you can select "Continue Shopping" on the payments page to bring you back here to buy more than one if you wish. Important! After you tap 'Pay Now' on the Paypal website WAIT A FEW SECONDS to get your quiz, after a few seconds you will be automatically redirected to a page to download the quiz you just paid for. If you close the Paypal page too soon then don't worry, you will be instantly emailed the download for the quiz you just paid for. If you get stuck we are available 7 days a week and usually answer all help requests within a few hours, you will find the 'Help' button at the top of every page of this website. If you have any concerns about making purchases online then please read our Terms and Conditions, the link to which is located at the bottom of every page of this website. We was trying to think of a game similar to Family Fortunes and settled on Blankety Blank as the closest match. 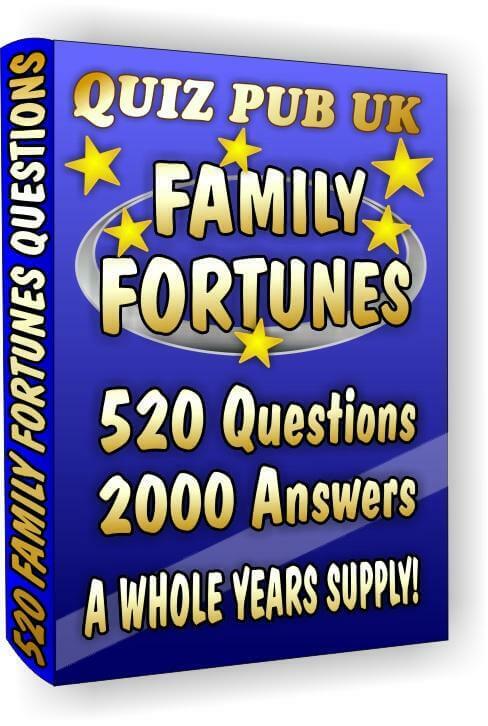 One similarity is that the answers came from every day people from all walks of life, the studio audience for one. So the secret to scoring well in both these games is to think like the general population and try very hard to ignore what you would say yourself. Another similarity is that it's very easy to guess one of the many answers and score something on every question, the questions are extremely simple to answer in both games. 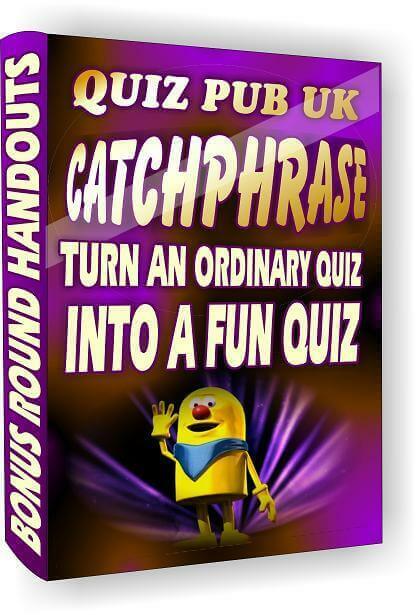 This is exactly what we're looking for, we want our fun quiz nights to appeal to a broad audience and we want anyone no matter how knowledgeable they are to have a chance of winning a prize, this will keep them coming back and your quiz is guaranteed to be a success. Why have we only made 20? We've only had one email so far from one of our best customers, he's hosted over 100 of our downloadable quizzes at the time of writing this. He said that his customers love this game in the quiz and that they prefer it to Gambit, but everyone is different and I need more proof before I make any more. So if you and your customers are loving these Blankety Blank quizzes then please Contact Us and when we get even just a few requests we will make one every week as well as the Gambit quizzes too. Don't leave it until you're on the last quiz pack if you want more because these quizzes take days to make.